(Same owner as 431223,please see our reviews).We recently fell in love with this extra roomy (approximately 1600 +sq. feet )Topnotch townhouse and the friendly, comfortable lifestyle. Please note how we differ from the other 2 bedrooms listed!!! This townhouse feels like a home.The square footage and layout and back yard on living room level distinguishes us. Our property is also much larger with a powder room easily accessible on ground floor and with a huge outdoor space for children.The town of Stowe is charming with friendly people, no traffic lights and a 3-way stop sign in the middle of town. We make it a point to spend as much time here as possible. You can deal with us directly. Let us know what your favored dates are.We will be in touch. Our townhouse is comfortable with 2 big bedrooms on the 2nd floor (Master has its own balcony, and master bathroom with over-sized jacuzzi ) eat in kitchen, large dining room for 8, two comfortable sofa beds in living room with a fun 2-person swivel chair for 360 view, and gas fire place, flat screens throughout and a nature's green back yard that is kid friendly for games and sports. Pools and spa are 30 second walk away as are the tennis courts. And did we mention our big gas barbecue as well? You'll love it as much as we do! What is so unique about our properties is that we have privacy and exquisite views,while we are on the same property as Topnotch Resort and Spa. We are on 120 acres of land which features a four star resort.On the premises is the Topnotch Tennis Center which is rated #1 in the Northeast by Tennis magazine. The spa was ranked among the top 10 in the country. The spa has a choice of 120 treatments.There is a heated outdoor year round pool and hot tub and an indoor pool in a vaulted timber ceiling atrium that has a cascading waterfall hot tub that is quite an attraction. A few miles down the road is Mount Mansfield which is considered the best slope in the Northeast. The flavor of Stowe is attractive summer,spring ,winter or fall.There is a vibrant and inviting community and activities 12 months a year.It's easy to keep kids active and engaged in a multitude of outdoor and indoor activities,including game rooms etc. The accommodations are world class.There are award winning restaurants on the premises and minutes away. Family friendly activities and unique stores and shopping make this part of the world so addictive. P.S. room service from the fine restaurant 'Flannels' available whenever you want it. email us ,we may be able to negotiate some prices. We have owned properties at Top Notch or several years and pride ourselves on being available 24 hours a day. We are intent on providing our guests with the best experience possible. We have people who will assist at your beck and call. Our reviews are uniformly 5 star! This 2 bedroom,2 and 1/2 bathroom townhouse has a lot of space ,very accessible to the resort and rates are lower than larger units. This was a wonderful location, close to everything! Place is very clean. We 'd love to visit again. This unit was perfect for a weekend of skiing at Stowe. Had everything you could want with a fully equipped kitchen, comfortable bedrooms/bath, cozy living room and a quick drive to Stowe and all the surrounding area. Loved it and will definitely go back. The well appointed Topnotch resort condo was a great base for our Christmas 2018 vacation at Stowe. My wife played tennis while my son & I skied. After a busy day we camped out in the living room in front of the fire place to watch college football! We had a fabulous time and Debra was wonderful. She answered every question and made sure our vacation was relaxing and hassle-free. My kids loved the space and the fun round chair in the living room. I had to work some and the townhouse was big enough that I was able to find a quiet spot that didn’t require everyone to whisper. Great pools and dog friendly. We also loved the stables and trail ride. Highly recommend this place, we’ll be back! 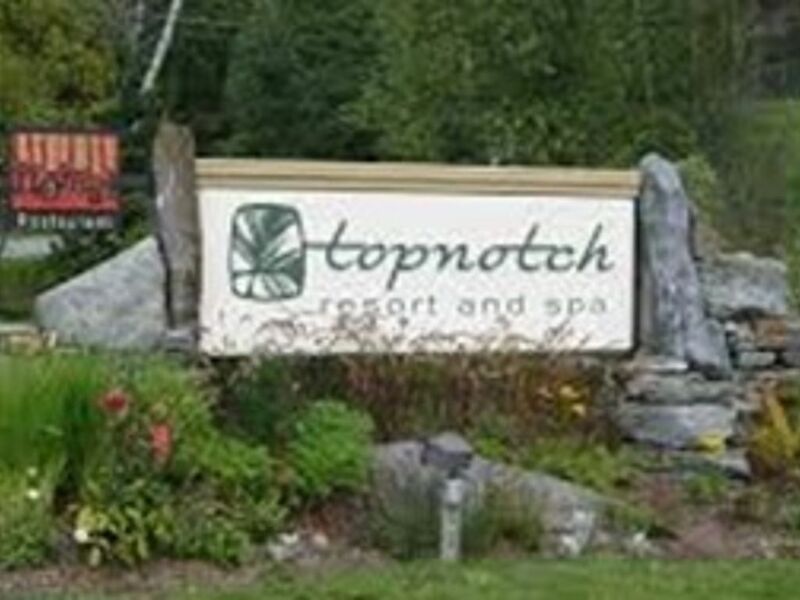 Family of 6 had a great time at Top Notch enjoyed the area, restaurants and amenities at resort; bike trail superb, Debra great to work with, look for the magic in one of the hanging pictures! Eat at Edson Hill, go up the Gondola to cliff house or to zip line! We loved our stay so much last summer that we came back again this summer. Just perfect for our family. Love the location and property.